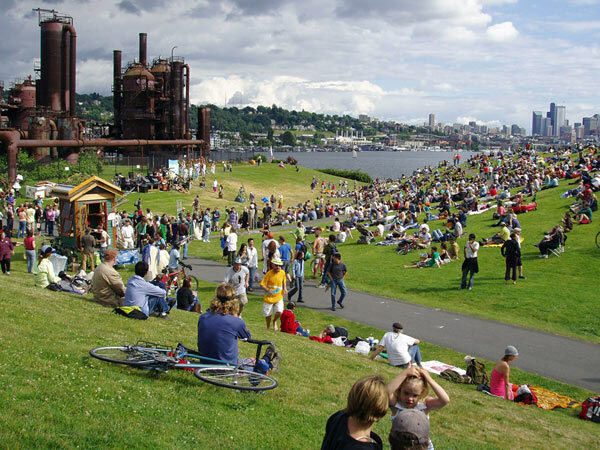 On the shores of Lake Union opposite downtown Seattle, Gas Works Park was built on the location of a former coal gasification plant. 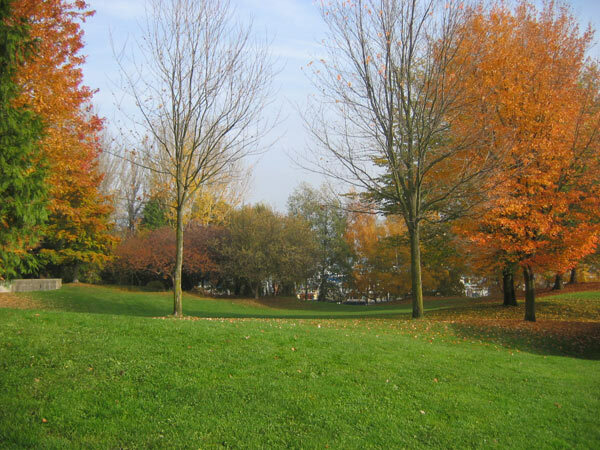 The 19-acre site was acquired by the City for parkland in 1965. 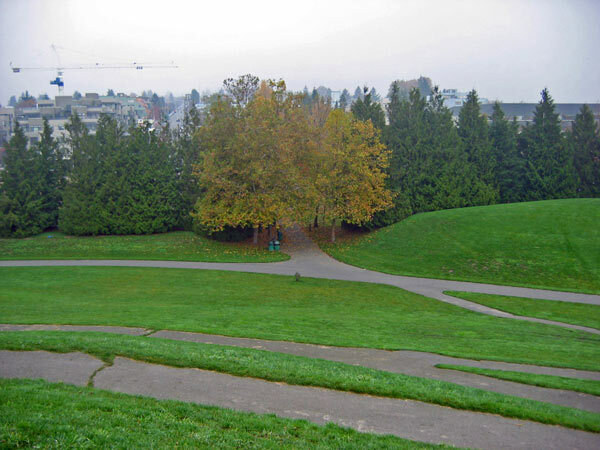 Opened to the public ten years later, the park, with its Great Earth Mound summit (constructed from on-site excavated material), was designed for passive uses such as strolling or flying a kite, and community gatherings at various scales. 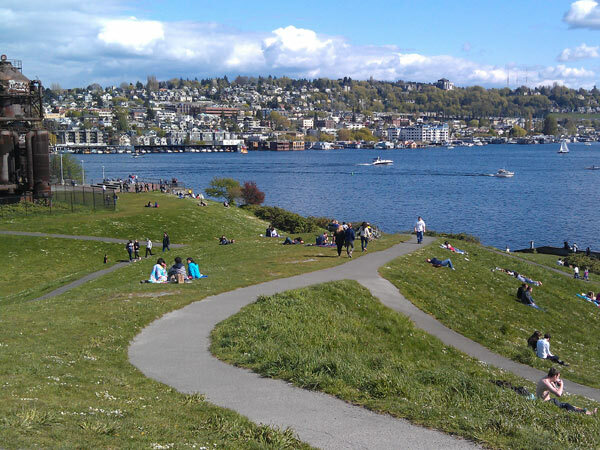 The site offers unrivaled panoramic views of the lake and downtown skyline. 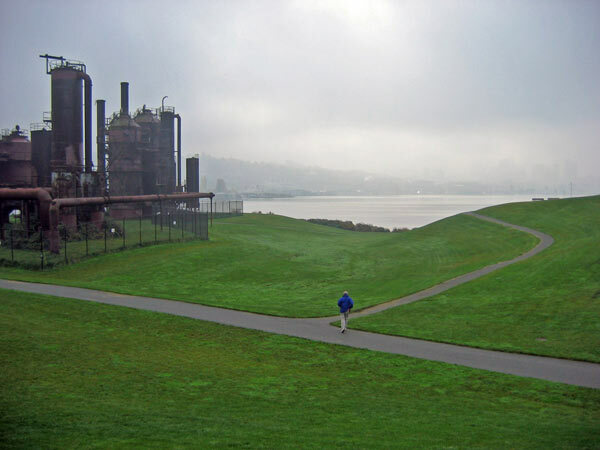 The park’s designer, landscape architect Richard Haag, has described his work there as “thinning the forest,” a reflection of how he edited the conglomeration of industrial towers, stacks, pipes, and sheds. 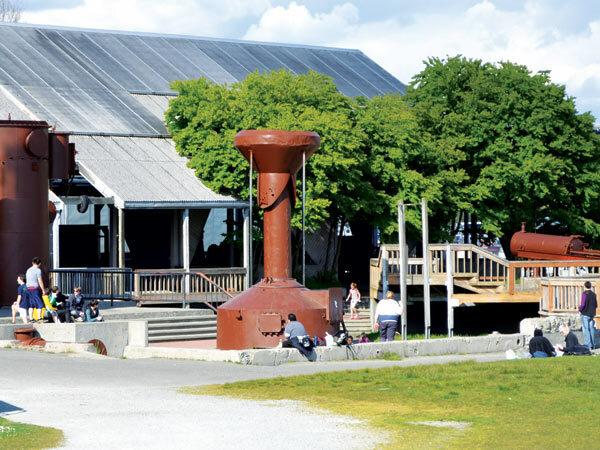 A central feature, the boiler house, was converted to a picnic shelter complete with tables and fire grills, while a former exhauster-compressor building was transformed into an open-air play barn, housing a maze of brightly painted machinery for children. 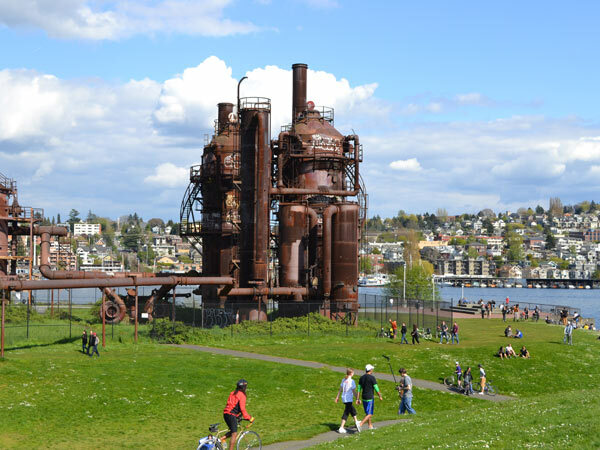 This groundbreaking project has been celebrated for its ability to garner public support and shift public perceptions of post-industrial landscapes. It is considered revolutionary for its reclamation of polluted soils using the natural processes of bioremediation. 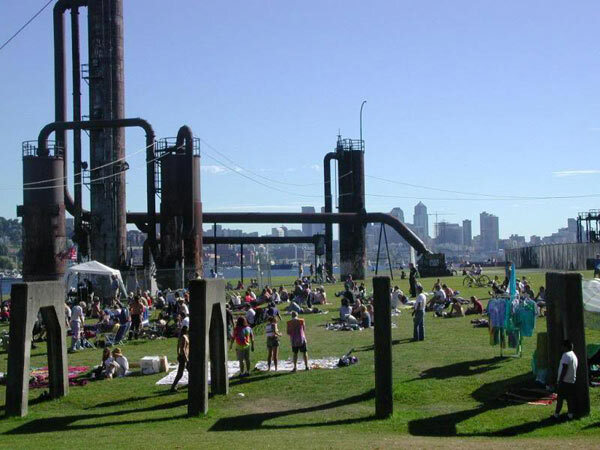 Gas Works Park was listed in the National Register of Historic Places in 2013.